This entry was posted in Substance Abuse and tagged Etorphine, Misuse, Opioid, Pain Medication on July 7, 2016 by Jacquelyn Ekern, MS, LPC. Many people are familiar with mainstream opioid medications such as those sold under the brand names of Vicodin, Demerol, Percocet, OxyContin and more. These medications are used as painkillers for a variety of situations, including injury-related pain, recovery from surgery, dental-related procedures, chronic diseases and more. Opioid medications are obtained via prescription from a qualified physician and should not be used without supervision and distribution by a medical doctor and pharmacist. Aside from common types of opioid medications that are approved for general consumer use via prescription, other types of opioid analgesics are also produced, used and consumed via black markets. Dihydroetorphine is such a substance, which is a derivative of the more-well-known opioid medication etorphine. Etorphine is a potent anesthetic medication and painkiller, primarily used for veterinary purposes such as the sedation of larger animals, including rhinos and elephants. The opioid analgesic dihydroetorphine is less commonly seen in the United States and mainly used in China. Because dihydroetorphine may be less addictive than other varieties of opioid medications, the Chinese may use this substance as a form of helping individuals come down from stronger opioid addiction. This is similar to how buprenorphine is used in the United States to help manage withdrawals from certain medications. 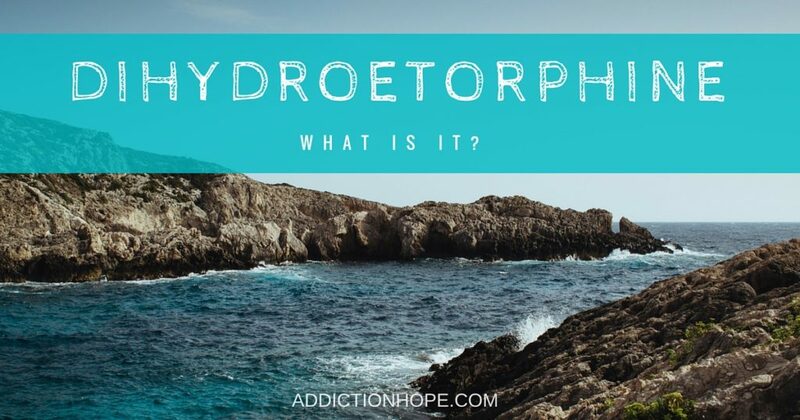 Nonetheless, dihydroethorphine is considered to be a more instantly powerful and potent substance than morphine, and it can produce severe side effects if abused. Use of this medication without a specific medical reason and the supervision of a physician can be life-threatening and should be addressed immediately. If you suspect that your loved one may be abusing this substance, be sure to voice your concerns as soon as possible, utilizing the help of an addiction specialist if needed. What are some helpful suggestions you can offer to people who are in need of approaching a loved one about a drug-related concern? Please comment below. We at Addiction Hope understand that addictions result from a combination of environmental and genetic factors. If you or a loved one is suffering from addiction, please know that there is hope for you, and seek immediate professional help.